This sign is for Royal Daylight Oil. The sign’s colors are grey and black. 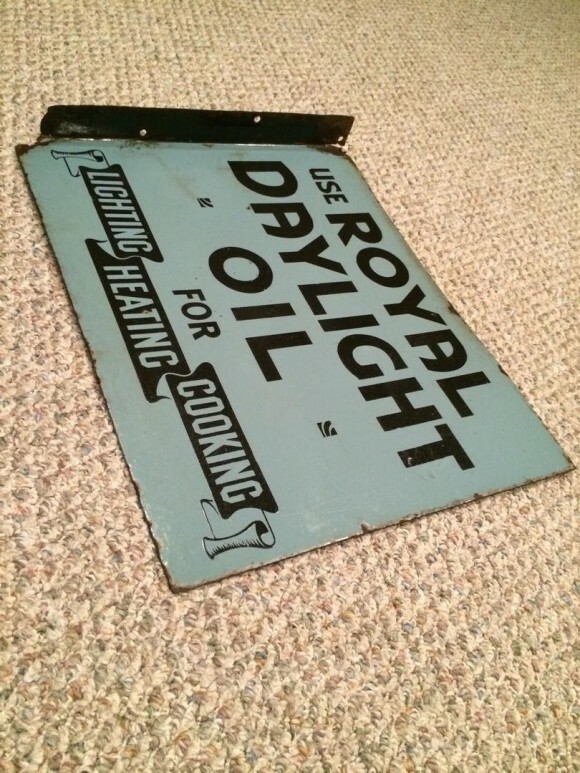 The text on the sign reads: Use Royal Daylight Oil for Lighting Heating Cooking. The sign shows text.